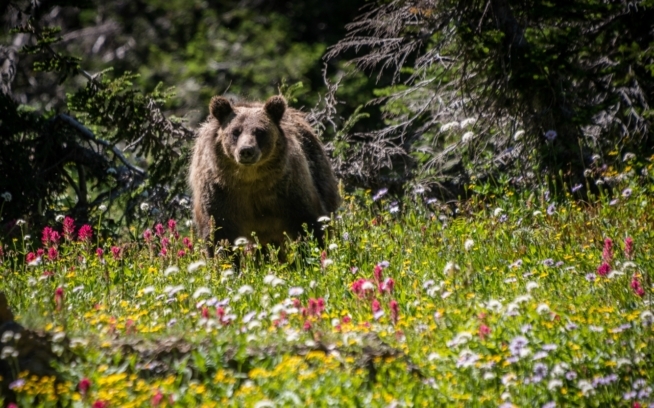 Backyard Corridors: Does Your Area Have Any Wildlife Corridors? Does your area have any wildlife corridors? We'd love to hear from you on our blog, The Cleanest Line, or on Patagonia’s Facebook page. I’ve always likened the ninety-person village in which I live to a rock in a river. Kelly faces the Tetons, between Grand Teton National Park, the National Elk Refuge, and the Gros Ventre Wilderness. We split the currents of elk and moose, deer and bison, antelope and wolves, lions and coyotes and bears. The wildlife also moves through us. Many a morning I’ve found a moose walking across my deck or a herd of bison under my living room windows. 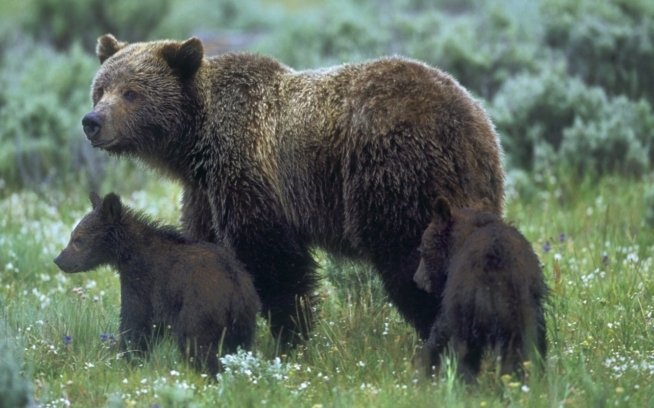 It’s a grand place to live … until one of these big animals destroys your trees. These trees – aspen and spruce – are native to the valley, but not to my land. I had to bring them here at some expense, especially the backbreaking labor of planting them. They’re not only beautiful; they also provide homes for songbirds who didn’t live around the house before I planted trees. So you can appreciate that I was a little upset on the morning I came downstairs and saw four bull bison scratching their heads against four magnificent spruce, their trunks denuded of branches to five feet above the ground. On another day, I watched a moose rip down a sixteen-foot-tall aspen tree and begin to munch it like a shredder. One night I spied a large mule deer, rubbing his antlers on yet another aspen tree, girdling and killing it. I thought about putting up an eight-foot-high, wildlife-proof fence around my half acre. And what would that accomplish? I’d have bird song, but the migrations of these grand Pleistocene mammals would be interrupted. Instead, I put up a two-strand electric fence around my land, the kind that I’ve used to build a temporary coral for my horses in the backcountry. The deer went under it, the moose stepped over it when it snowed, and the bison snorted at it and walked around the property. My trees have thrived, the animals still visit, and the fences remain small. Ted Kerasote is the author of many books, including Out There: In The Wild in a Wired Age, which won the National Outdoor Book Award, and the national bestseller Merle’s Door: Lessons from a Freethinking Dog.